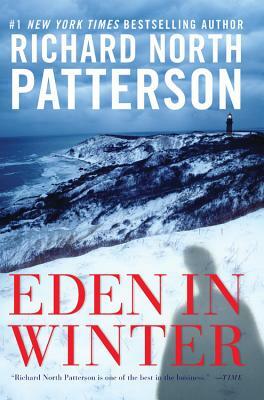 Number one New York Times best-selling author Richard North Patterson, author of more than twenty novels, including Degree of Guilt and Silent Witness, returns with the dramatic conclusion to the Blaine trilogy: Eden in Winter, the final volume that completes the story begun in Fall from Grace and Loss of Innocence. Two months after the suspicious and much-publicized death of his father on the island of Martha's Vineyard, it is taking all of Adam Blaine's will to suture the deep wounds the tragedy has inflicted upon his family and himself. As the court inquest into Benjamin Blaine's death casts suspicions on those closest to him, Adam struggles to protect them from those who still suspect that his father was murdered by one of his kin. But the sternest test of all is Adam's proximity to Carla Pacelli--his late father's mistress; and a woman who, despite being pivotal to his family's plight, Adam finds himself increasingly drawn to. The closer he gets to this beautiful, mysterious woman, the further Adam feels from his troubles. Yet the closer he also comes to revealing the secrets he's strived to conceal, and condemning the people he's so hard fought to protect. Richard North Patterson is the author of twenty bestselling novels, including Loss of Innocence, Exile, Degree of Guilt, and Silent Witness. He has appeared on Good Morning America, Hardball, and The CBS Morning Show, and his articles on politics, literature, and law have been published in The London Times, Wall Street Journal, USA Today, Washington Post, Los Angeles Times, Boston Globe, San Francisco Chronicle, and San Jose Mercury News. He lives in Martha's Vineyard, Cabo San Lucas, and San Francisco with his wife, Dr. Nancy Clair.